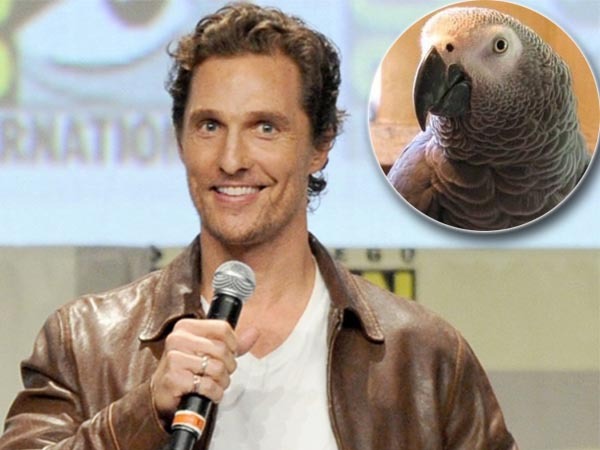 Einstein the parrot is making a name for himself. The Congo African Grey parrot has a memory as sharp as an elephant’s and loves repeating catchy phrases. Einstein the parrot is making a name for himself. The Congo African Grey parrot, who hatched on June 15, 1997, has a memory as sharp as an elephant’s and loves repeating catchy phrases. Watch him copy Matthew McConaughey as he accepts his Academy Award with his “alright alright alright.” He does it so well, you’d be forgiven for thinking it was charming actor himself. Einstein lives in Texas with his “flock”, Marcia and Jeff and can remember and repeat nearly 300 words and phrases. He has a website, a blog, a YouTube account, Facebook, Twitter and Instagram account, and is active on Pinterest and Google+, making his web presence far greater than most regular folk!